On Tuesday, Mr Chiots and I headed to the Belfast Free Library to listen to Lauren and Bill Errickson’s seminar, The Permaculture Process: Creating an Edible Landscape. Not only did we attend to listen and learn, we actually recorded their talk for Cultivate Simple, our podcast about all things gardening and simple living. If you’re interested in permaculture and how to incorporate it’s methods in your home garden this is the talk for you. Tune in the Cultivate Simple this coming Monday to hear what Bill & Lauren have to say. Do you ever attend local workshops & seminars about gardening? Last Thursday we officially no longer owned a house in Ohio. After much hassle and paperwork for their VA loan, the new owners signed papers on Wednesday and they were filed on Thursday. It all became real when the money showed up in our bank account that afternoon. With this, our lives at 247 E Mohawk Drive are in the past, 100% over, the end. It’s a bit sad, but also very exciting. We certainly loved our little house and miss it a little. That being said, we’re settling in quite nicely in Maine and starting to put down roots here. It feels really good to officially close this chapter of our lives and to finally be able to start focusing on the new chapters ahead. With this final piece of the puzzle in place we have much less on our minds. We’ve cancelled insurance, utilities, and it’s nice to know we now only have bills for one residence. Breathe a deep sigh of relief with Mr Chiots and I….. The longer I garden, the more I realize the need to be organized and to keep good records. If you only have a small garden, it’s not as important as if you plant a wide variety of vegetables and try to incorporate succession planting along with fall/winter gardening. As I sit down and spend time planning out the 2013 edible gardens, I realize there’s a lot of organization that needs to take place. 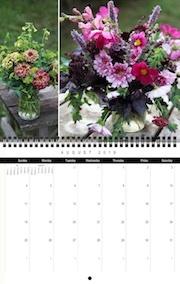 I’ve been working on coming up with a year-long calendar to make sure I know when to seed all my various crops for production throughout the year. Not only do I need to think about the spring/summer garden, I’m trying to plan my garden so I have greens to harvest in winter and roots in the cellar as well. There are also cover crops to think about, that need to be worked into the crop rotation to improve soil and mitigate disease/pest issues. It’s all getting very complex. Each evening, I spend time with books and charts planning the entire gardening year. My next step will be drawing out a big garden plan and figuring out where everything will be planted. I must say, I don’t mind this side of it, I rather enjoy that it gives me something to do during the winter months. What’s your biggest organizational challenge when it comes to gardening? An honest and unrehearsed discussion about trying to live a more simple life. This is episode 16 and today we are discussing starting seeds. Support the blog and the podcast. Vote with your dollars. Value for value. This takes time. Donate – When downloading an ebook, for an episode that you like, if you want to get a mention on the show ($50). Why do I start my own seeds as opposed to buying them? 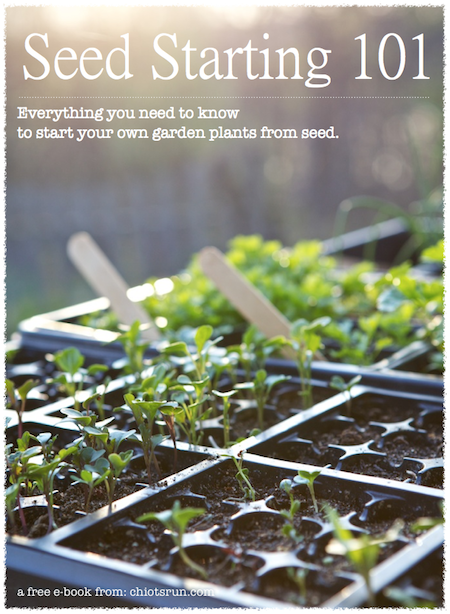 Have you ever tried to start seeds? What has been your experience? Lately, Mr Chiots and I have been talking a lot about patience when it comes to gardening. It’s especially important when you have a new and exciting space and lots of ideas. We know we want to put in a small orchard here, with pears, apples, plums and maybe a few other types of fruit. Eventually, there will be long hedgerows filled with native and beneficial species. There will be a pond for the ducks and a greenhouse for the winter. Mr Chiots and I are, by nature, jump in with both feet kind of people. Hard work doesn’t scare us and neither does failure. While that is often a very good trait, it needs to be tempered with patience in some situations, this is one of those cases. Through much deliberation, we decided to wait at least a year to embark on any major garden plantings and changes. We’ll spend this next year watching the gardens unfold, noting varieties of plants, the movement of the sun, the flow of the water. Care will be taken in improving and remineralizing the soil in the areas we think the orchard might fit. Being patient will benefit us in the long run, our trees will grow faster and stronger if we take time to choose the perfect spot, the right varieties and work diligently at improving the soil. Have you learned patience through gardening?